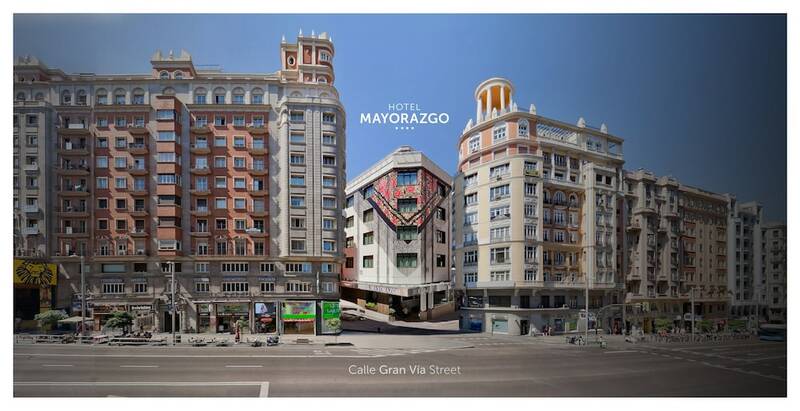 A stay at Hotel Mayorazgo places you in the heart of Madrid, steps from Gran Via Street and Lope de Vega Theatre. This 4-star hotel is 0.1 mi (0.2 km) from Plaza de España and 0.2 mi (0.3 km) from Puerta del Sol. Make yourself at home in one of the 200 air-conditioned rooms featuring minibars. Complimentary wireless Internet access keeps you connected, and satellite programming is available for your entertainment. Private bathrooms with showers feature designer toiletries and hair dryers. Conveniences include phones, as well as safes and desks. For lunch or dinner, stop by bar retiro, a bar that specializes in Mediterranean cuisine. Dining is also available at the coffee shop/café, and room service (during limited hours) is provided. Buffet breakfasts are available daily from 7 AM to 11 AM for a fee. Featured amenities include a business center, limo/town car service, and complimentary newspapers in the lobby. This hotel has 5 meeting rooms available for events. A roundtrip airport shuttle is provided for a surcharge (available 24 hours), and self parking (subject to charges) is available onsite.